Earlier we have posted about the inFocus M2 Android smart phone which is just INR 4999. This phone features 8 megapixel front camera with flash and also an 8 megapixel camera with flash on the rear side. Both the cameras will be having autofocus facility. So this mobile phone is a real Selfi phone. When they launched it it sold out quickly because of the price. 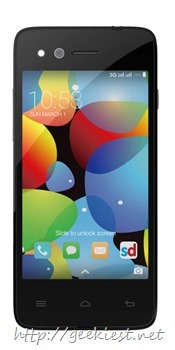 This phone have 4.2 inch display with 1280x768, 335 ppi LTPS display. 8 megapixel front and rear cameras with LED flash. one year warranty for the phone and 6 months warranty for the battery and charger. You may able to sell your old device in exchange with this phone too. You can click “Exchange your old device” and it will show you the price you will get for your device when you provide the details of your old phone. You also can have next day delivery if your pin code supports it.